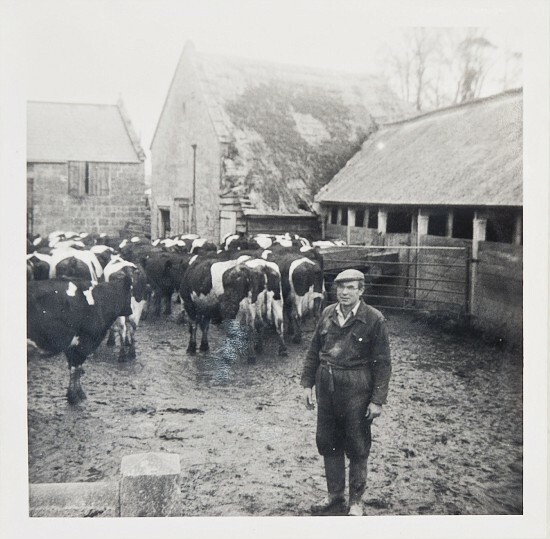 Since the 1960's the site has been home to a dairy herd, farmed by Andrew Osborne and his father Arthur (pictured below) before him. So that's the Yard bit, why Monks? You can see MY Eating Place on the right hand side with MY Sanctuary and MY Events in the background. The farm as it was in the early nineties. Before diversifying into the lovely venue you see now we researched the history of the site and found that it was home to a monastery and a small chapel building, the chapel once being described as “a picturesque ruin standing on elevated ground”. The exact whereabouts of these on the site is unclear although it is believed that one wall of the farm house could have been part of the monastery. There is mention of the existence of the monastery as far back as the 13th century and was home at one time to eight monks, an abbot and a prior. MY Eating Place is actually the old cowshed from the farming days – hinted at by its long, narrow shape. The listed buildings have all maintained original features throughout and the attention to detail creates a collection of buildings with real character, but perhaps more importantly, honesty and authenticity. The Osborne & Holling family are proud to have created a beautiful venue in a stunning part of Somerset which we hope you will come and enjoy with us!